“DML Audio is the one that will revive the Galactron brand”. This is what we got to know some time ago. In the last two years, the prototypes have been showed during fairs and exhibitions but the final product has been available only since a couple of months. 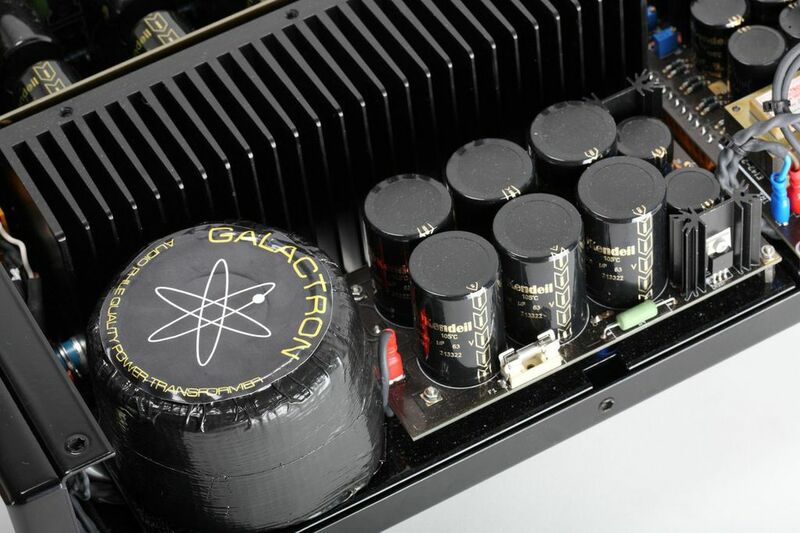 Before facing the new production, let’s take a look back at the history of Italian High Fidellity: Galactron is a brand that people of my generation remember well, in the 70’s we looked at its amplifiers in the shop windows, dreaming to take them home with us. The story of Galactron in a nutshell is this: six university students founded it in1966; the first products were a preamplifier, the CC50, and a mono power amplifier, the PA25. 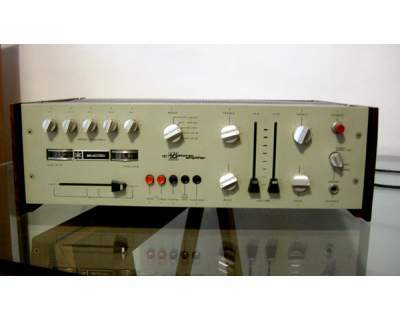 Only 50 pieces were produced at that time of those two devices that seemed to be born to challenge the big American brands of the time: Marantz, McIntosh, Harman Kardon. The Galactron design were very innovative at that time, in fact they were built using transistors and according to military standards; anyhow the retailers preferred to sell more famous brands items. In 1975, Galactron was producing 25 pieces a day and introduced the integrated MK120. Galactron stopped its production in 1980 because of some society’s internal issues. In 1984 it went out of business. The devices that had a greater success were the MK2 - 700 pieces produced - and the MK10 that had good reviews also in Germany. 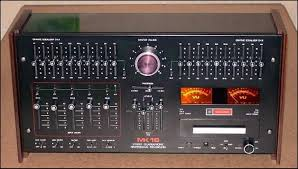 It was in 1971 that Galactron entered the collective imagination thanks to the pre amplifier MK-16 and the power amplifier MK-160 that was also quadraphonic. In the early 70’s Galactron was praised by Italian magazines but also by the German Hi-Fi Stereophonie, the French la Revue du Son, the British Hi-Fi Choice and Hi-Fi News. In the mid ‘70s the Company was exporting in 21 Countries and had around 60 employees. 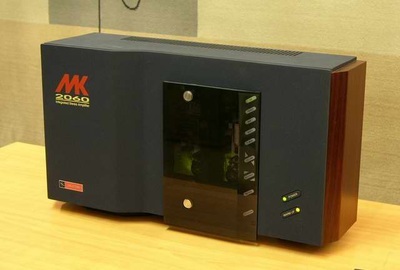 In 1993, the “New Galactron” was born and designed and produced the MK 2000 Series amplifiers. 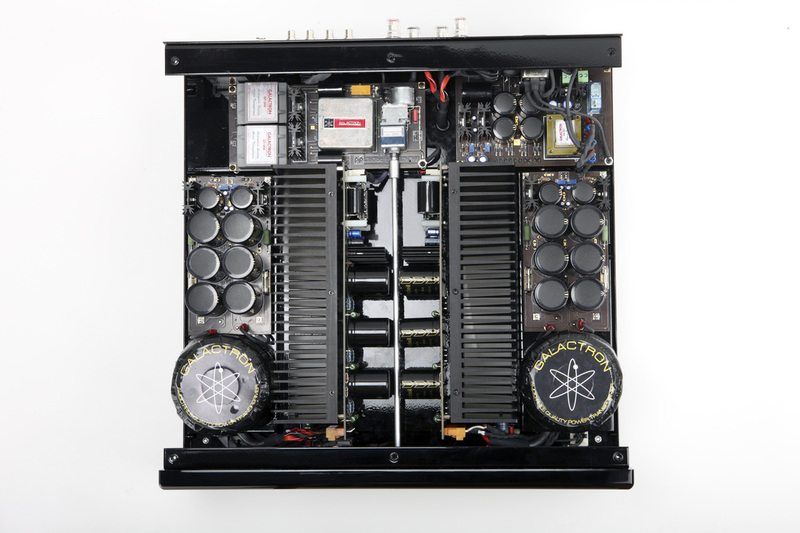 Its vertical look is unforgettable and what about the MK-160 power amp with its four visible boards behind the transparent front panel? Only few years in the oblivion and here it is again, with newly designed and modern electronics. It has a less original look but it has the advantage of being easy to place in every setting. 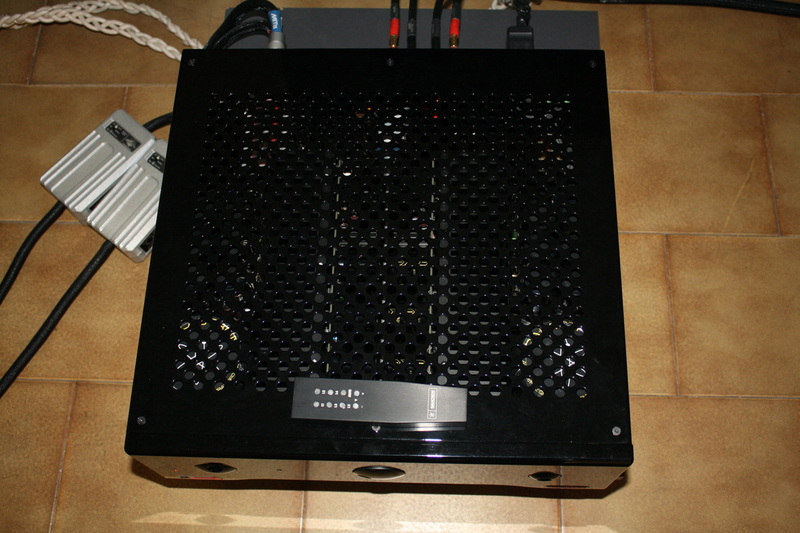 The present production consists of 5 integrated amplifiers, 2 power distributors and 5 mains filters. We have here for this review the MK2280, the biggest of all that has a power output of 2x80 W into 8 ohms, 2x152 into 4 ohms and 2x220 into 2 ohms. Its current peak is 60A. 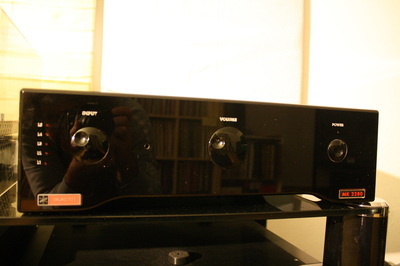 The frequency response is 10-60.000 Hz at +/- 0.5 dB. Its weight is 30 kgs. 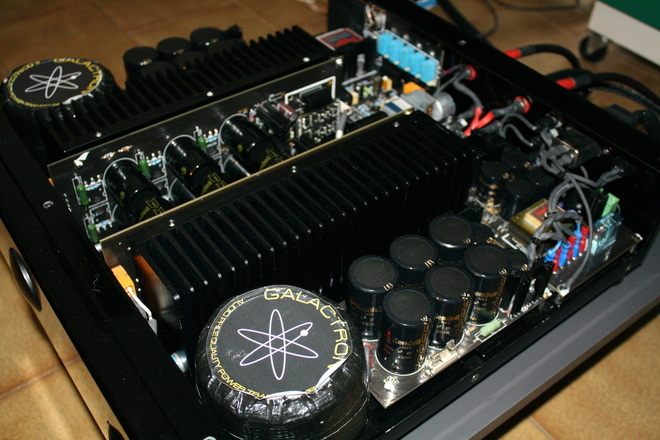 “Amplifier is designed with solid-state technology and is totally dual-mono, with polarization in class AB. The power structure has been realized with the help of two toroidal power Transformers at 320VA each and a filtering system total of 160,000 µF, to ensure that even the most challenging demands can be met. This includes the use of three selected pairs of MOSFET from about 20Ah per channel. This configuration is obtained by utilizing a low value of output resistance and a high availability of current, providing remarkable control in the way the articulation and the relative content of information within the same spectrum. Innovative new driver sin pure Class "A" gives a great increased quality, control and harmonic richness. The sound is very similar to that of amplifiers with vacuum tube technology, obtaining great consistency across the entire sound spectrum and high lighting the significant potential for analysis of micro-and macro- detail of the musical content. 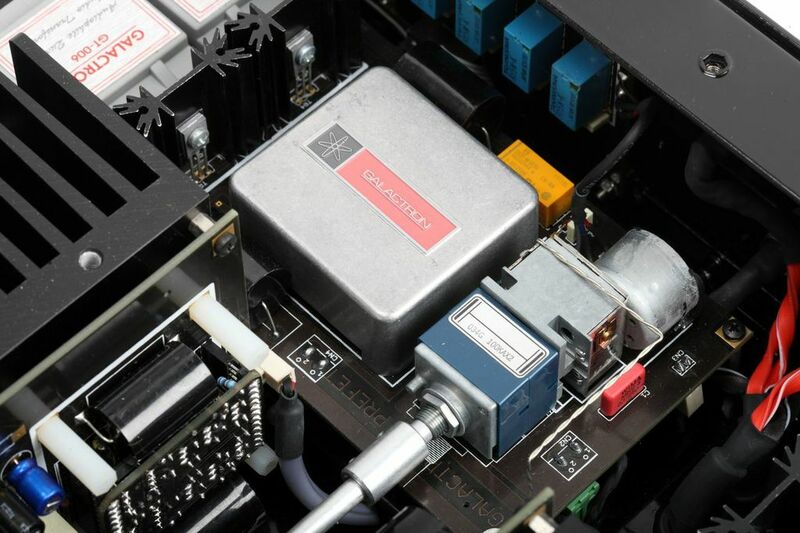 The preamplifier section and management inputs is achieved with the aid of technology magneto-solid. 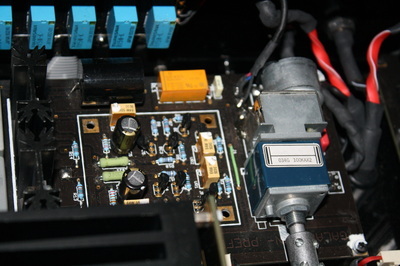 In other words, the amplification stage of low level is obtained with discrete Components (Transistor and FET) with polarization in pure Class A. 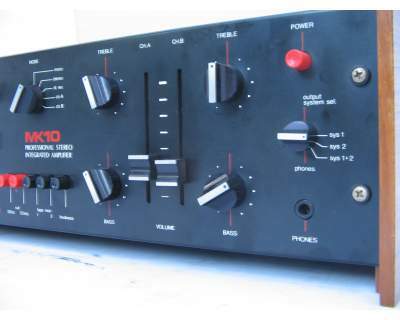 In addition, the output stage is built with two transformer amplifiers with a 1:1 ratio with the core "C" and a bandwidth of 10Hz to 100KHz + - 0.5 dB. 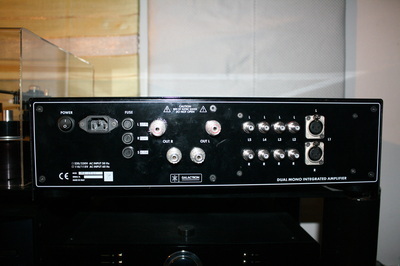 The transformer-balanced input, in addition to four RCA line inputs, gives the end user the ability to use multiple devices and manage their connections differently. The volume control system is also quite sophisticated, with the ability to memorize the previous state and mute all inputs. MK 2280 has a rear switch with the task of feeding the whole machine and ensure the right operating temperature. It is recommended to wait at least 30 minutes before listening to music. The last point concerns the placement in the same environment. 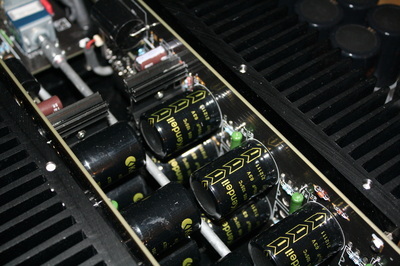 It is important to ensure good ventilation on the whole surface of the amplifier, because the internal temperature on same heat sinks as part of the power stage has an optimal operating temperature of 60° C.
If the temperature were to exceed this, the thermal protection would come into operation, un hooking the entire power system for the purpose of protecting the amplifier and any speakers that might be connected to it. In conclusion, the significance of the interconnectivity of the individual assets must not be over looked. The wiring is made from silver-plated copper provided by Wireworld a master in the world of hi-end electrical connections. 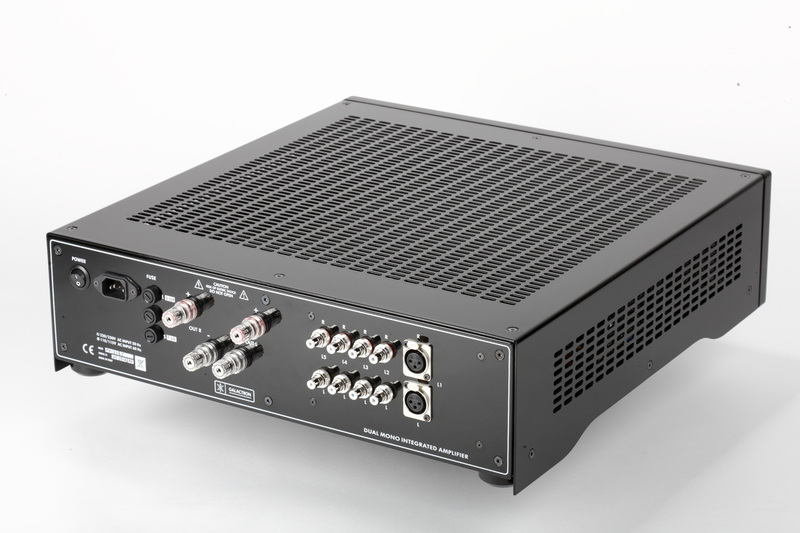 This is a magnificent system for ensuring quality connections for both signals and power. 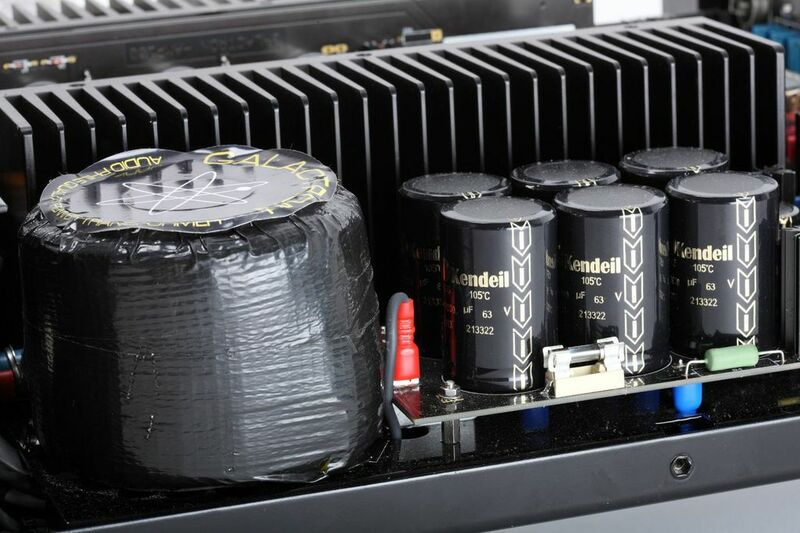 The contacts that bind this system are treated with Rhodium to ensure the preservation of synergy and quality musical content”. I can confirm that this device is heavy and that it generates heats when it receives no signal, a proof of its 8W Class A polarization. 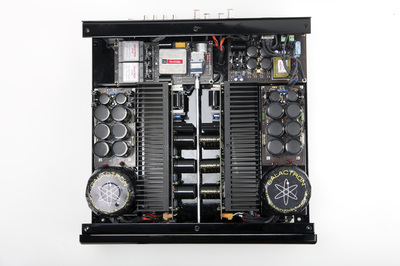 The 2280 is a black parallelepiped with a roundness in the center of the front panel that makes its look more refined. On the lower left side there is the trade mark. Above, a line of leds that shows the selected input. On the right, there is the knob for the input selection and in the center there is a bigger one that adjusts the volume. On the right there is a big on/off button. 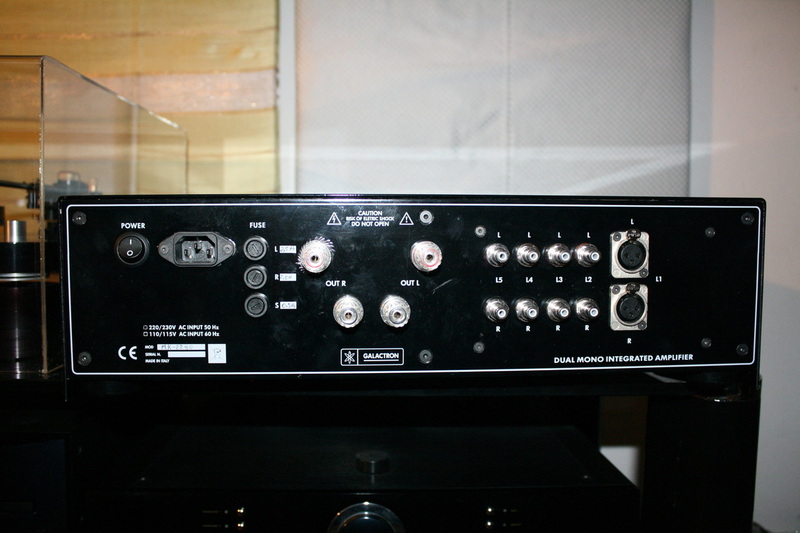 On the back side, from the left; the main switch, the IEC port, 3 fuses, the loudspeakers outputs fit for all terminations, the four RCA line inputs and the balanced input. Another important thing to notice is that for the balanced input, they have used two transformers that you can see in the picture. No integrated are used in the circuit, because they may be a cause of sound distortion. Components are top quality, therefore the price may not be popular. 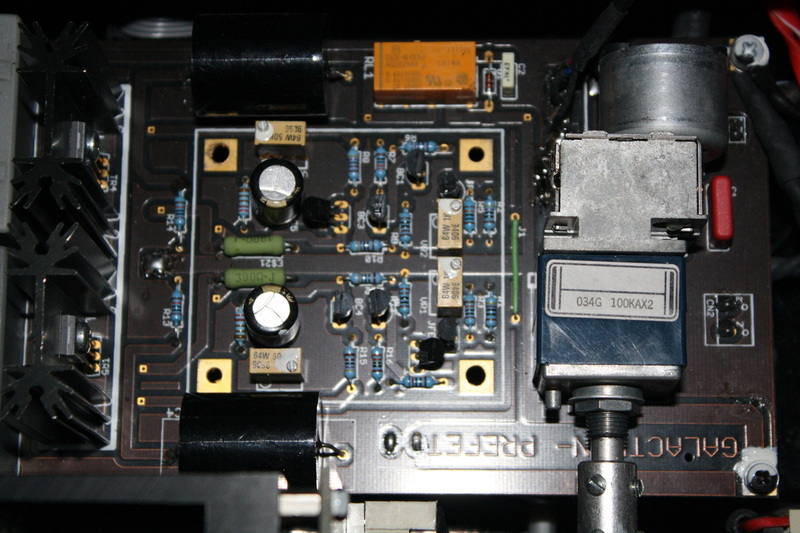 The remote is a small aluminum block with the basic functions to control the amplifier. The Galactron MK 2280 has been connected to the following system: turntable Basis 2001, tonearm Graham 2.2, cartridge Scan Tech Lyra Helikon, phono preamplifier: Einstein "The Turntable's Choice", CD/SACD player dCS Puccini + Puccini U-Clock, preamplifier: MBL 4006, power amplifiers: Bryston 7B ST mono, loudspeakers: JBL 4350B, interconnect cables: MIT Oracle MA-X Proline, MIT Shotgun S2 RCA, Transparent Super XLR, Transparent SuperRCA,LAT International XLR, loudspeaker cables: MIT Magnum MA, Vovox Initio, power cables: MIT Shotgun AC 1, Black Noise Pearl and others DIY, mains distributor: Lector Edison 230/8, mains filter: Black Noise 2500. The first record I listen to is a SACD, “Foxtrot” by Genesis. In the song “Supper’s Ready”, the guitar and keyboard’s arpeggios are very clear thanks to the remastering of this SACD box but also to the Galactron’s ability to read complex messages. The low range is warm, well tamed and extended, dynamics is flawless. I listen to John Coltrane's “Blue Train”(Blue Note), and I think that it’s a perfect record to relax after a long day at work. The 2280 has a good sense of the rhythm and makes music flow freely without circuital hurdles. Yes! definitely this is it! no matter if you want to have a soft background music or if you wanna pretend you are playing the drums instead of the drummer (the great Philly Joe Jones, just for the record!). 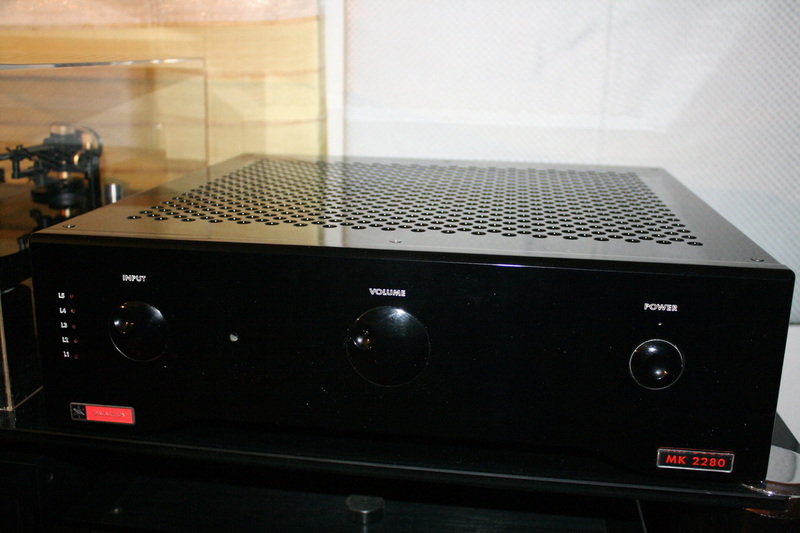 At very high volume the sound is always smooth, it just flows between the loudspeakers. The soundstage is perfectly portrayed, it is never constrained. Is very interesting to discover the dynamic variations of Franco Battiato’s voice in the record “Fisiognomica” (EMI), as comes out from this integrated amplifier. The voice of the sicilian songwriter is very pulpy, the timbre is correct and the sounds that accompany it are spectacular, especially at high volume. 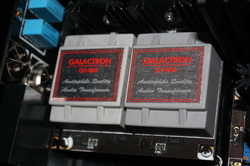 The Galactron shows no difficulty in this scenario and has the ability to drive the sound that is not common among similar devices from the competitors. Now it’s the time for “Chopin”, a SACD performed by Leonora Armellini (Velut Luna) with the Padua and Veneto Symphonic Orchestra directed by Anton Nanut. The performance of the young piano player in the Concert n°2 for piano and orchestra is very good, the recording made by Marco Lincetto is flawless as it often is; the Galactron reproduces it with great ability and my JBL4350 are absolutely subdued. The sound that I hear is very natural and stuck for all the frequencies. If you want a “live” sound, this recording and this amplifier are very fit; otherwise you can go for other devices that create fireworks that are as spectacular as false, and that are boring in the long run. I listen and note my impressions on my writing pad; it’s time to change record and proceed with the review but I don’t want to interrupt this wonderful show. I decide that I deserve a break so I relax and enjoy the music waiting for the Larghetto; the light’s off and I let the music invade my space and warm up this cold and rainy Milan night. A quick listen to 3 or 4 songs from “Sultans of Swing - The Very best of Dire Straits” (Vertigo) and I have the proof that this 2280 is a great component, it moves easily the the 4 5”woofers with the attitude of a warrior. It makes them play loud but never out of control. Mark Knopfler’s guitar is highlighted by the perfect balance of percussions and accompaniment, with peaks of 100 dB in the listening point. The galactron reaches it easily without failure and fills the room with music and emotions. Dynamics and speed are not a problem as we can verify listening to “Private Investigations”. “Hear My Words” SACD (Chandos) performed by the St. John’s College Choir from Cambridge directed by Andrew Netshingha is a very hard test for voice reproduction. Treble voices, Gregorian chants and complex choirs, but the Galactron is up to the test both for timbral and tone balance and for the soundstage: the echoes of St. John’s College Chapel are perfectly recreated. The complicated plots are perfectly managed thanks to the neutral signal sent to loudspeakers, a signal that is really complete. There’s not much to add to this. The idea to revive an historical brand has had a very good kick off. On one side we have a look that is less original than the old one but that is fit for every location and on the other side, all the sound uncertainties of the old production have disappeared. The price of this Galactron 2280 is not cheap but if we take a look at the components and the quality of the product it seems fair. 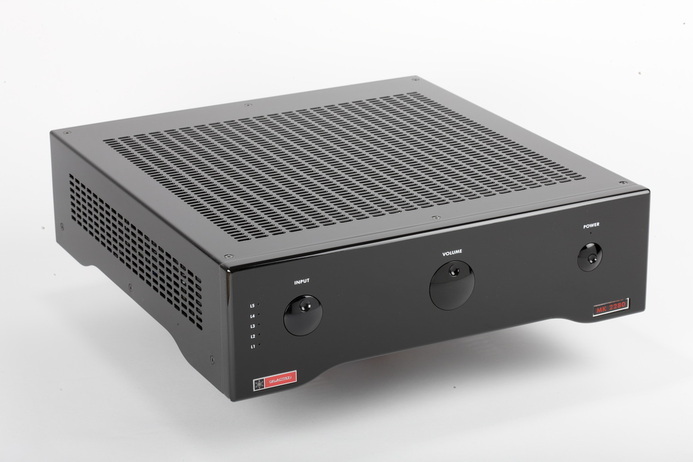 The pros of this amplifier are: the ability to manage all the sounds, even the most difficult, and the good timbre that won’t change the sound of your loudspeakers. Welcome back, good old Galactron!